This compelling and lavishly illustrated presentation offers fresh insight into the mysterious life and works of Bada Shanren (1625&#x2013;1705), the Chinese Ming dynasty master of the brush whose idiosyncratic visual vocabulary was full of personal symbolism and artistic gesture. The central catalogue of Bada's works details the significant features of each artwork, along with translations of all texts and calligraphy. Joseph Chang, associate curator of Chinese art at the Freer Gallery of Art and Arthur M. Sackler Gallery, Smithsonian Institution, received his bachelor's degree in Chinese literature in 1978 from the Fu Jen Catholic University in Taiwan, and his Ph.D. in 1995 from the University of Kansas. 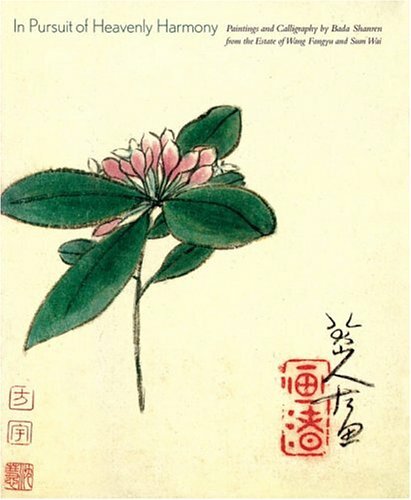 He is a specialist in Chinese painting and is coauthor of <i>Brushing the Past: Later Chinese Calligraphy from the Gift of Robert Hatfield Elsworth </i> (Freer Gallery of Art, 2000). He has curated numerous exhibitions for the museums, including two Bada Shanren exhibitions in 2003. From the late 1980s through the mid-1990s, Dr. Chang was a research associate for exhibitions at the Metropolitan Museum of Art in New York and the Nelson-Atkins Museum of Art in Kansas.